It is a frequent need in data summarizing and analysis to sort data or get the member rankings, like sorting sales records by date, getting the salespersons’ achievement rankings for performance assessment, and so on. esProc uses functions inlcuding psort, sort, rank, ranks, and etc. to sort or rank data. Now let’s look at how to perform the operations on sequences. The result of A4 is the rankings of members of the original sequence in ascending order. A5 finds the ranking of 5.5 in the same order by comparing it with each member of the original sequence. By default, same rankings take up the positions, making the rankings of later members postponed. For instance, with two second rankings, the next member will be recorded as the 4th. But the use of @i option can eliminate this effect, which means no matter how many same second rankings, the next member will always be recorded as the 3rd. With @s option added, the function will calculate the average of the same rankings, if any, to make it their recorded ranking, which reflects the reality better. For instance, the two second rankings actually take up the second and third positions, so it’s reasonable to consider that their real rankings are the average 2.5. Note: When executing A.rank@s(y) function, if y is already included in A, the funciton will return the ranking of y’s corresponding value in A, instead of projecting y in A to calculate the average of same rankings. All sorting-related functions, like psort and sort, can work with the @o option. Notice that these strings are sorted alphabetically. In practice, strings are sorted and ranked according to each character’s ASCII code. The date type data is sorted in ascending time order. In esProc, you can click Tool>Option to set the date format on the Environment page. But the result of sorting or ranking data of date type or datetime type is irrelevant to the format. By adding @z option, the orders in which sort function and rank function get their results are still in opposite directions. You can notice that there are duplicate values among the ages. As shown in the result, the rankings of both 42s are 2 while the ranking of next 37 becomes 4. This means a same ranking will occupy a position by default. The rank operation will be covered in detail in the third section. 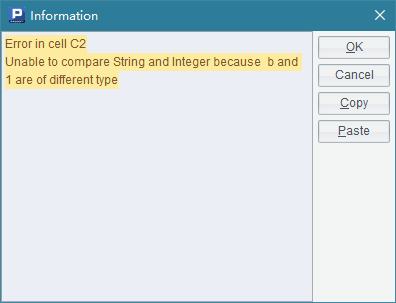 As can be seen, a correct sorting result can be got by specifying a language parameter. For the languages and charsets esProc supports, please refer to the Function Reference. So you see that the sort function can be used conveniently to sort the records in a table sequence or a record sequence and generate and return a new record sequence. Let’s look at the result of A2, which has been sorted by full names. But most of the time the records of employees are sorted first by surnames and those of employees who have the same surnames are sorted again by names. Multiple fields are thus involved. 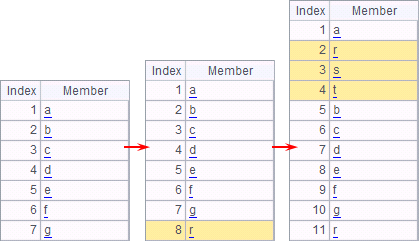 If the sorting field contains non-English strings, you can define a language parameter in sort function. It can be seen by comparison that the employees with the same salary, such as Rebecca and Emily, get the same ranking for their salaries either way. But obviously they rank much higher in the result of A3 because duplicate ranking values are ignored and they won’t affect the rankings of the subsequent employees. In fact it is the result in A2 that reflects the rankings more objectively. A higher ranking is obtained without counting the duplicate values. rank@i and ranks@i compute rankings in a way similar to that in which id function is used to list all the unique members before computing rankings.